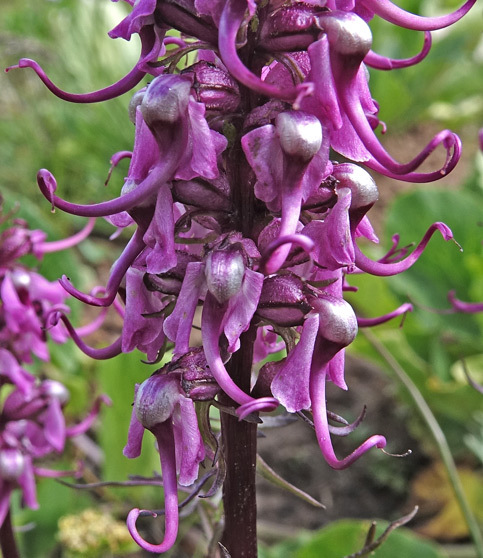 The genus name, "Pedicularis", given by Linnaeus in 1753, is derived from the Latin "pediculus", "louse". 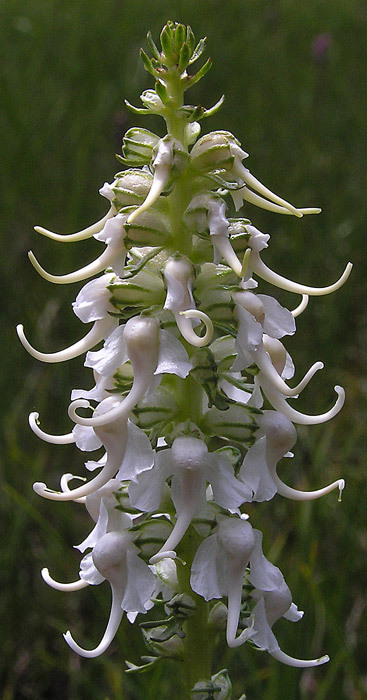 A bygone belief had it that the plant gave lice to people and cattle. Or, according to some sources, the plant was thought to cure people or cattle of lice! 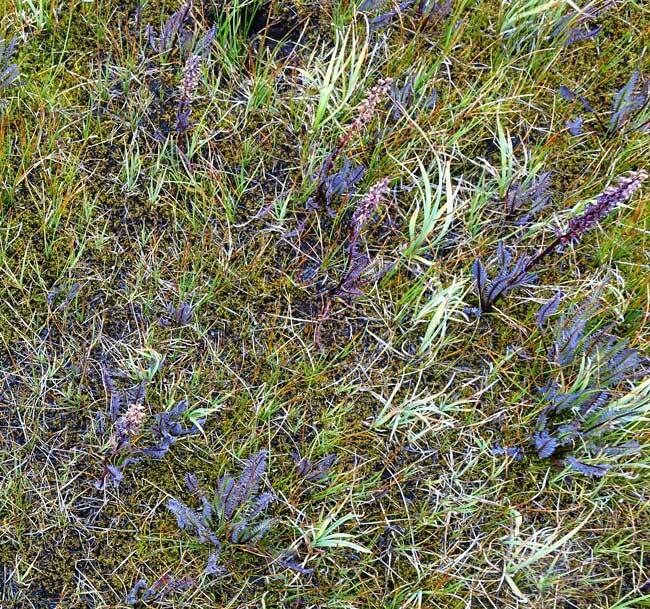 "Wort" is from the Old English, "wyrt", meaning "plant" (Figwort, Spiderwort, Spleenwort). 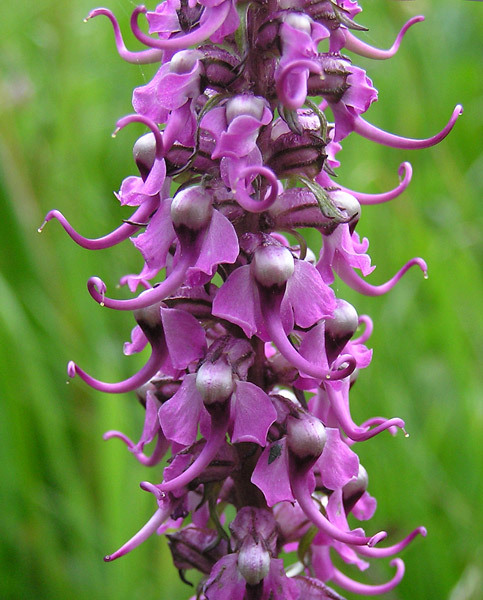 Members of the Pedicularis genus are varyingly called "Lousewort" or "Wood Betony". Above: Bolam Pass Fen, August 18, 2017; U.S. Basin, July 28, 2016 and August 4, 2015; and Bridal Veil Falls Trail, Telluride, August 10, 2015. Left: Upper Calico Trail, June 12, 2004 and Lake Hope Trail, August 11, 2014. No one forgets pink elephants. 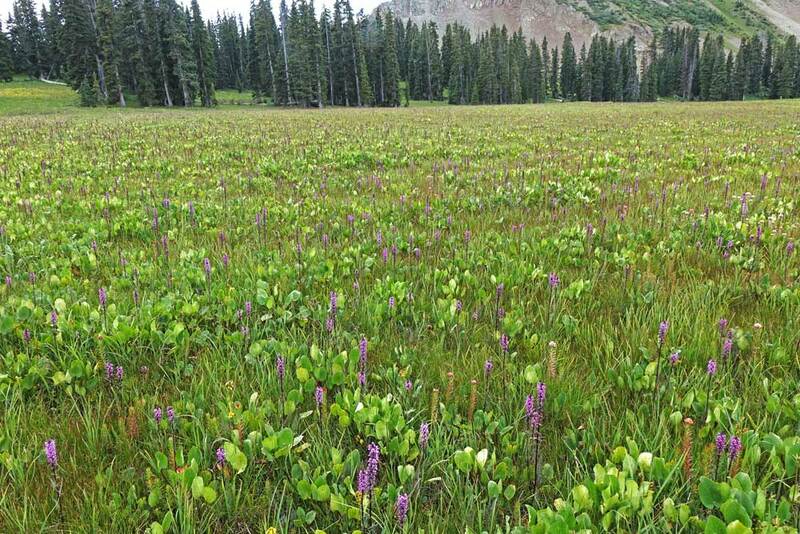 They are common along streams and boggy mountain meadows, sometimes numbering in the thousands. Red fern-like leaves appear first and dark stems follow. The green of chlorophyll eventually masks most of the red. 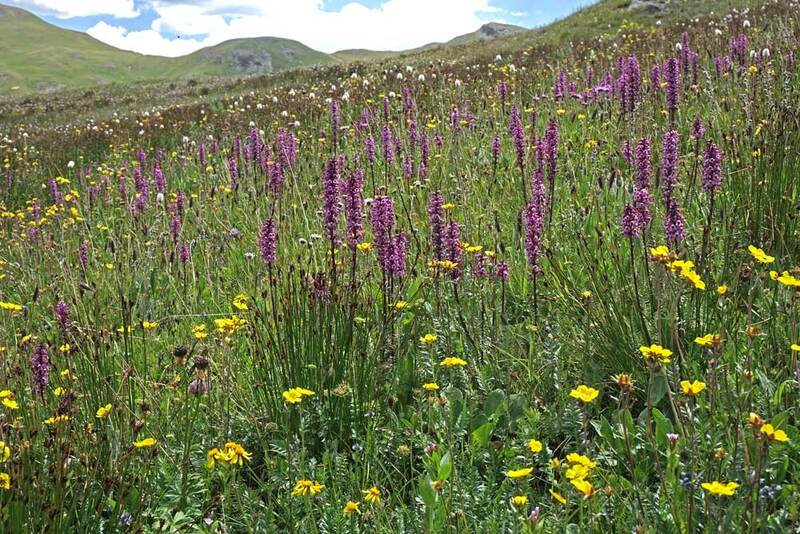 Plants bloom for many weeks, making this one of the most widely known -- and gasped at -- wildflowers. Even the dried seed heads continue to show the elephant’s trunk. 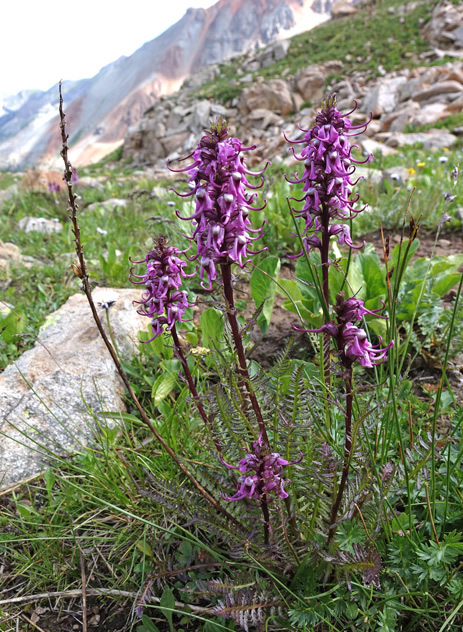 Pedicularis groenlandica is found throughout the western mountains of the United States, across all of Canada, and in its type locale in the southern tip of Greenland. 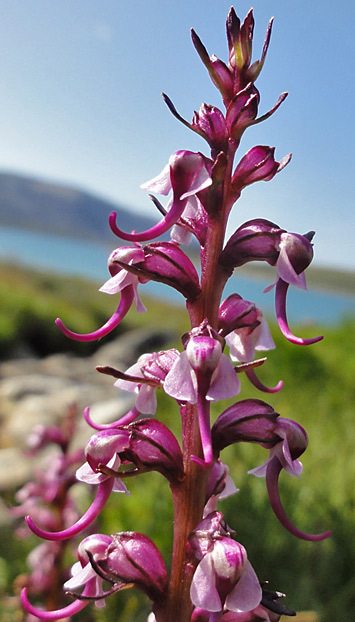 Anders Jahan Retzius (1742-1821), Swedish Professor of Natural History, named and described Pedicularis groenlandica in 1795 from a specimen collected in Greenland by an unnamed collector at an unknown date. The type specimen is in the Natural History Museum of London. In a second email to me, Christian indicated that after P. groenlandica was collected in Greenland in the late 1700s it was not collected there again until 1941 when Alf E. Porsild, highly respected Danish/Canadian botanist, found it. Upper Calico Trail, June 12, 2004; Lake Hope Trail, August 11, 2014; and Greenland, ca. 2010. 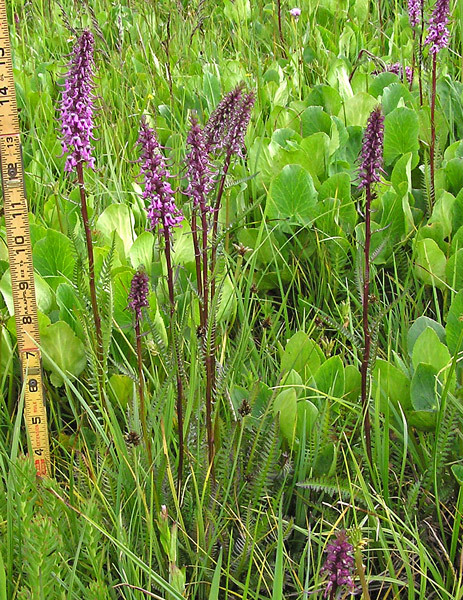 The bottom photograph at left (taken by Caroline Ernberg Simonsen) shows P. groenlandica in its type locale in southern Greenland. Notice how many more flowers there are in the spike in the top photographs, taken in the western San Juan Mountains of Colorado. Bolam Pass Fen, August 18, 2017. One dried Elephant Head hangs on at top left while seeds mature in capsules. Below, fall color comes to basal rosettes of a number of first year plants. 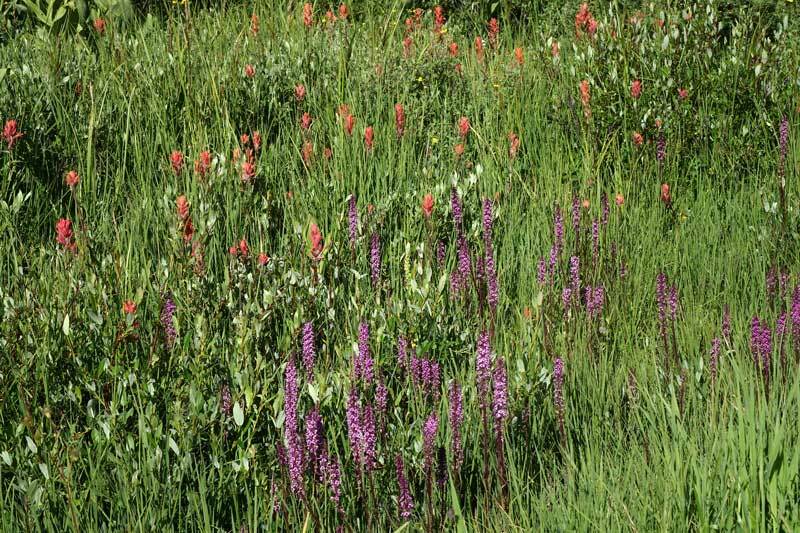 In the top photograph Pedicularis groenlandica mixes with Castilleja linariifolia (Wyoming Paintbrush) on a wet slope at the foot of the Cross Mountain Trail. 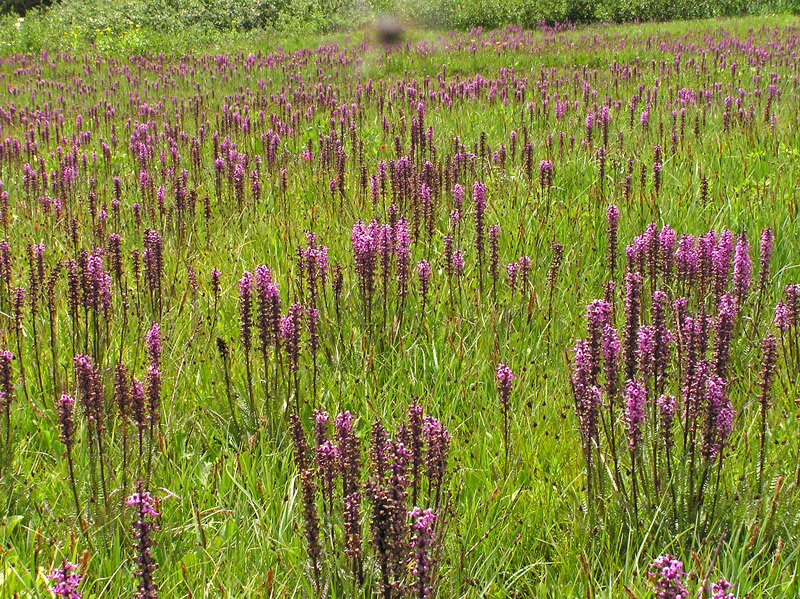 The wetland meadow of Pedicularis groenlandica in the second photograph was level and quite boggy and I came out wet and muddy with quite a few mosquito bites and one huge welt from a fly bite. Perhaps the fly that landed on my lens is the very fly that bit me. You can see the stinker at the top center of the picture. 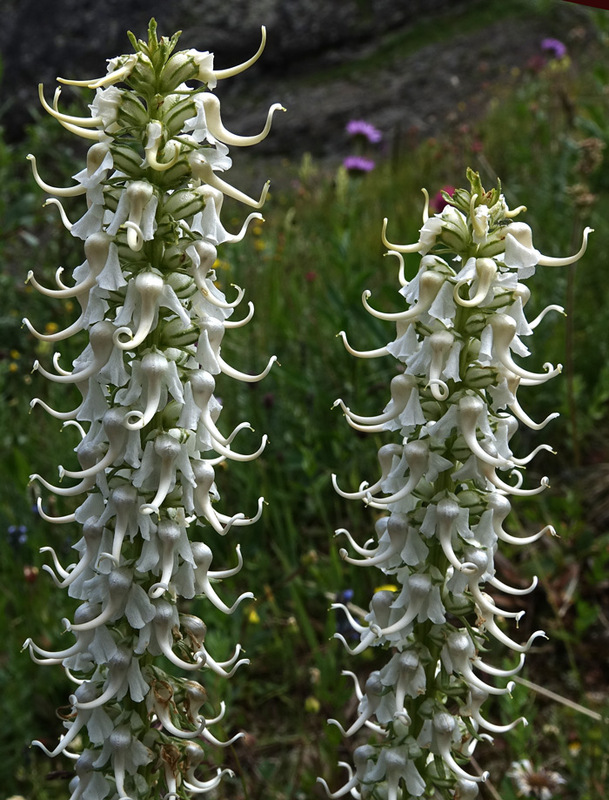 Albino Pedicularis groenlandica are unusual and unforgettable.